More than anything, the role is a very tough detective who works at the section in charge of violent crime. Despite he is a very-tone deaf person, he has shamelessness as he never putting the microphone in karaoke..
To his ‘mother’ who doesn’t have blood relationship with him, he also acted like her real son.. and he told like this.. But it’s just a part of the acting that he shows.. Another part is the acting of deep melodrama. He expresses the longing for his first love that he has just kept in his heart for 14 years..
“Han Jungwoo came closer to me like destiny.. 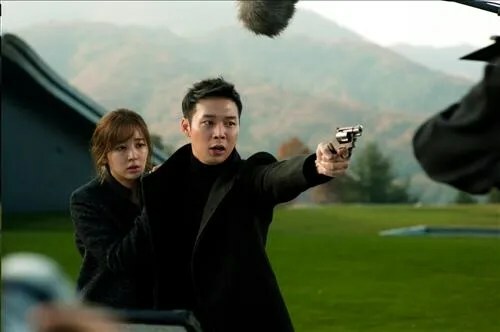 I received the synopsis of ‘Miss You’ when I stayed in US after ‘Rooftop Prince’ was over. I told I would do it after I read it all through the night. Normally, I read a few scripts of the drama when I choose the drama. Above all, he met this drama when he wanted to act the character like Han Jungwoo ..
“I played very calm and relaxed character until now.. Han Jungwoo is totally different.. I think it is something that every male actors want to play.. He is a little bit careless and shameless.. but he has charisma..
And I should play an action.. and very deep acting of melodrama..
Until now, 8 episodes were aired.. and he received a favorable evaluation for the changing of his image..
Han Jungwoo is shameless but tender and warm.. However he has a trauma and very painful memories about his first love, Sooyeon.. Sometimes he has changed to romanticist when trauma and painful memories work..
“I’m really thankful if you think like that… actually I had a lot on my mind.. I was worried about the sense of differences.. because there are 14 years gap from their painful love to meet again.. I thought and analyzed Jungwoo’s life for 14 years.. He is not the person who misses his memories.. I think he has felt the sense of guilt for 14 years and he also lives because of obsession that he must find her.. But I want to express his original character such as being considerate of others and being humorous and outgoing.. Honestly, he also has the time to live in his home as a precious son.. so he has a habit that he had since he was young..
Sooyeon thought Jungwoo left her and ran away but actually he has been looking for her..
and then he lives well and nicely.. so I think it’ll be better to show his nature that he originally had since he was a boy..
“Jungwoo is really attractive character.. But because of it, I don’t want to be exaggerating or calculating when I’m acting. If so, is he possible to wait someone who he loves for 14 years like Jungwoo? “I think the longing is different from love.. Personally, I had some feeling about the memories that I had between someone who I loved.. But although it’s the longing for the love.. I think there are still many uncertain parts..
Everyone has the time to hold their memories even if their loves are over..
And then I would really think ‘love is over..’ when I could forget the whole things about her and could be calm.. If so, how does he feel to act deep love of Han Jungwoo? “This drama is very sad.. and there are many emotional scenes.. So I really like ‘Melodrama is also very difficult and hard..’ with my body..
Because I have to release my emotions continuously, my energies have given out easily. “When I look back at my first drama.. it was really just as well that ‘Sungkyunkwan Scandal’ was my first drama.. But I had to act due to 100% sense of duty.. Now I really want to do it.. It’s the most different thing..
Actually, I felt uncomfortable to act until I acted in ‘Miss Ripley’. As it was the drama right after SKKS, I felt great pressure. So it was uncomfortable and awkward. It was the hardest to me but I think I could take many things from there. 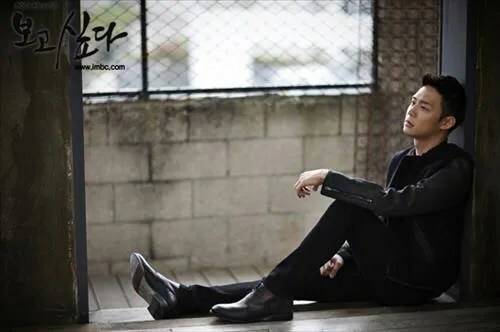 When I was acting ‘Rooftop Prince’, I decided to put down everything and to do it more comfortably.. So I could play more naturally and could feel fun.. For this reason, I wanted to act in my next one more quickly.. 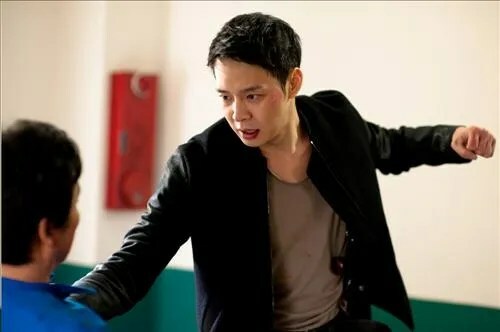 Originally, I want to work only one drama a year because working as JYJ is also very important to me..
“As I could understand about the acting, I have many things to think.. but I’m not afraid.. He told that he always tries to show the 100% himself..
“I tried to show my whole thing.. But ‘the whole thing’ is getting better when I did a drama.. I think I could grow a little bit every time I experienced to hit the limit. I was also prepared for it would be really hard.. There are many emotional scenes.. Thinking positively, I’m expecting to myself… on the other hand, I’m also worried to being frustrated if I do wrong.. He is standing on the start-line as an actor but he is a K-pop star who has many fans all around world..
“I’m happy. Of course, sometimes I feel uncomfortable when my schedules are overlapped.. But working as JYJ is also important to me, I feel comfortable as I think ‘they are something that I must do’. I have to take these things because I’ve got many love to my fans.. I think I’m lucky and very thankful.. I have the good fortune to have good people..
Once I felt pressure for the popularity but now I feel good and thankful. Last Friday, we also heard about the trial between JYJ and SM was over. It took them 3 years and 4 months to end..
“I’m pleased.. In the meantime, we had a hard time.. but.. on the other hand, I think we endured well with supporting each other. 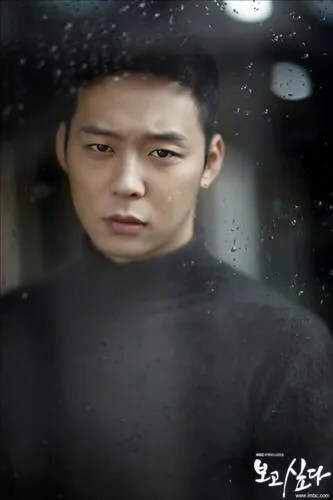 We tried to do hard much more because we had some barriers.. Of course, we also had luck..
At first, there were only 5 staff member in our company but now there are more than 40..
We asked him again… What do you want to show as an actor, Park Yoochun..? “I wish people could be encouraged and recharge when they watch my acting..
People can be touched and be encouraged when they watch a good actor.. I wish people can get the fun to live when they watch my acting and my drama..